What are air filter types? After browsing for an air purifier, you suddenly found out that you can’t just choose a random air purifier and purchase it. You will notice that there are tons of air purifiers out there, with hundreds of air filter types. Don’t worry, in this guide you will learn everything you need to know about Air filter types. Yes, we will give you everything! Because there are only 4 basic types of air filter technology that these air purifier devices commonly use, you can easily check each one out. Air filter types are the first thing people search for before making any decision to buy an air purifier. Notice that we are giving instructions to the air filters using in the air purifiers, which are somehow like this. 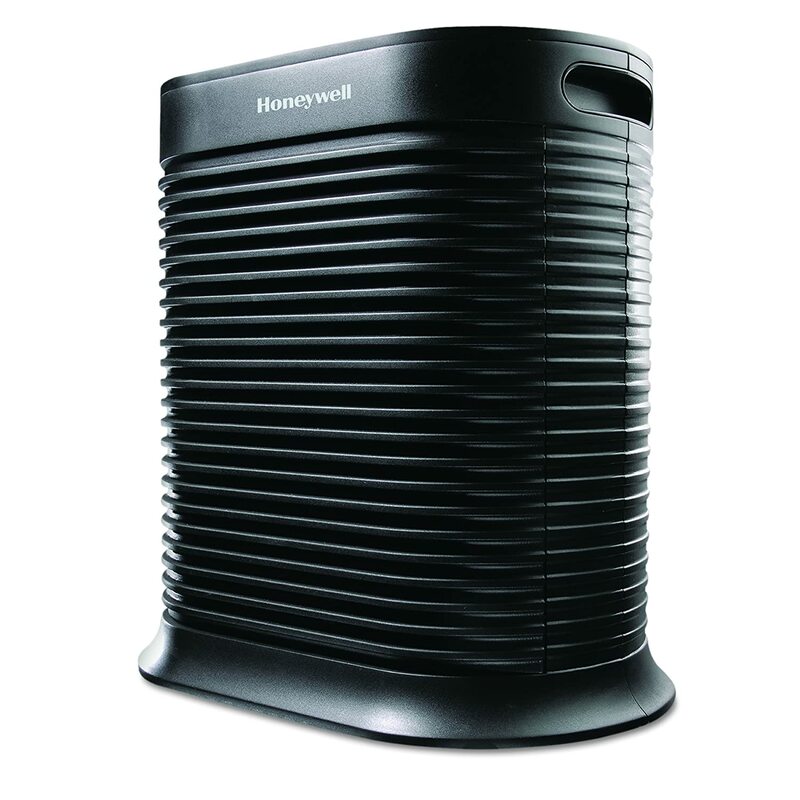 This Air Purifier is Honeywell True HEPA Allergen Remover HPA300 – an Amazon’s Choice in 2019 (title only given to highly rated and well-priced products). *Notice: Before you are going to decide to buy anything, please first read our Breathe Quality’s 2019 air purifier buying guides in order to make your buying decision right. We don’t want you to waste money, honestly! 1, What are air filter types? 2, How to clean air filter? 3, What is CADR rating? 4, What is ACH rating? These four air purifying filters are used for difference types of indoor air pollution. We will explain exactly how each one works. High-efficiency particulate arresting (HEPA) filter is the first and most well-known filter in air purifiers market today, making this air filtering process the highest standard for air purification. No matter how many times you researched for an air purifier or a vacuum cleaner, you will come across these 4-letter term “HEPA”. A highly dense paper filter that captures airborne toxic contaminants (like dust, mold, pollen and even animal hair, and basically everything making your air NOT CLEAN). This filter is degradable and must be replaced after 6 months to 1 year. High-end air purifiers mostly have light notification for this routine replacement. A mesh HEPA pre-filter, which is only in the latest air purifiers. This filter will be marked as permanent HEPA because it is washable. Because of its well-known fame, there are many filters using the HEPA acronym, which is confusing for anyone searching “air purifier” for the first time. 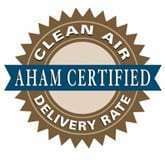 The only certificate label you should trust is a “True HEPA Filter”. A True HEPA Filter is certified to remove 99.97% of all microscopic particles as small as 0.3 microns in size, which is the tiniest particle’s size to get into your lungs. 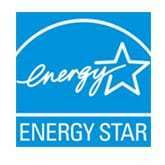 In order to carry “True HEPA Filter” label, a product must meet strict standards set by the U.S. Department of Energy. Other filters that use the term “HEPA-type” or “HEPA-like” are inferior products to “True HEPA Filter”. These filters can only capture particles as small as 2-5 microns, which is more than a 600% decrease in efficiency. You may think that it is good enough??? Please think again. There is no standard set in place for these terms like this, you may find yourself a little to no use air purifier for your air space at home if you are not cautious. Expert tips: When looking for a HEPA air purifier, you always should look for the True HEPA Filter certificate. 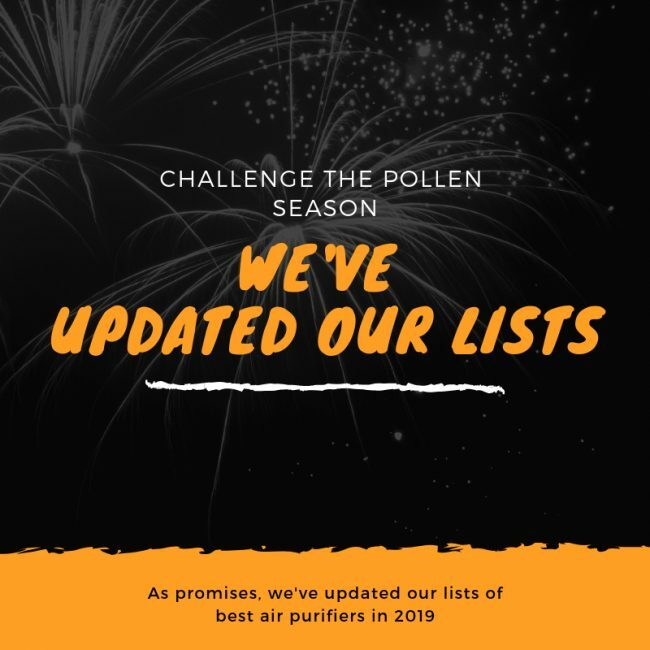 Below are the 2019 UP-TO-DATE Amazon Best Sellers list for True HEPA Filter Air Purifiers. They also have light notifications to help remind you of routine filter replacement, and combine with other air filter types to enhance the power of air filtration. Ionic Air Filter (which is also called Ionizer purifier) is an air cleaning technology which operates with charged electrical surfaces or needles. It will emit a cloud of negatively charged ions into the air. Contaminants (which is positively charged ions) will be then electrostatically attracted to a charged collector plate. For the inferior products, these impurities are only forced to fall onto the floor and nearby surfaces. This process eliminates ultra-fine particles down to 0.1 microns in size. This Ionic Air Filter also produces trace amounts of ozone, with less than 0.05 ppm of ozone to comply with an industrial safety standard. Expert tips: Some people have claimed that the ions it generates have caused an increase in their asthmatic symptoms. Activated Carbon air filter (many brands just call Charcoal air filter) uses a special form of activated carbon that consists of millions of tiny absorbent pores. This Activated Carbon filter can absorb and neutralize volatile chemicals on a molecular basis (for example harmful gases, odor, VOCs and some chemicals). This filtering process won’t remove contaminants, instead change them from gaseous phase into solid phase. That’s why this air filter type rarely stand alone but working in conjunction with other air filter types, mostly the HEPA Air Filter. Expert tips: Why many high end brands just focus on emphasizing True HEPA Filter, they still have a Charcoal layer like this. These 4-layer filter above belongs to Coway AP-1512HH Mighty Air Purifier – one of the best air purifiers in 2019 and the Amazon’s Choice for a long time. Carbon filters are not used to remove particles that cause health issues, but rather get rid of the ones that cause smells. These filters are making a home smell fresh and clean. UV Light Air Filter (UV stands for Ultra Violet) is the most different air filter types from the 3 air filter types mentioned above. It will be easy for you to understand this air filter if we give you a definition of UV Light. UV light is part of the electromagnetic spectrum. It makes up all wavelengths of electromagnetic radiation, including light, radio waves and x-rays which are arranged according to frequency and wavelength. UV light is a special type of radiation that can’t be seen by the naked eye because it is part of the invisible section that makes up the electromagnetic spectrum. To be precise, its wavelength is from 400 nm (750 THz) to 10 nm (30 PHz), shorter than that of visible light. UV-C light in Air purifier, is a powerful form of radiation that cause no harm to people. However it is excellent at killing microorganisms, such as germs and viruses. Summary: UV Light Air Filter technology emits an invisible light (called Ultra Violet Light) that attacks pollutants (mostly germs and viruses). UV light is contained inside the air purifier and not released into the room. Also, the type of UV light (UV-C light) is harmless to human. As air passes through the air purifier, after all other filter types, it finally goes through a small internal place that exposes the particles to UV light. An UV light air purifier works by disrupting the core DNA of these germs and viruses. This process sterilizes them and prevents them from multiplying to make you sick. The best examples of UV-C Light filter are these Biota Bot Model MM208 and GermGuardian CDAP5500BCA. However, to combat with other contaminants like dust, mold, animal dander…, UV Light Air Filter can’t stand alone and must combine with others. Expert tips: Always check the Air Purifiers using the technology of UV-C light. This type is completely safe for humans and doesn’t cause any negative side effects. How to clean air filter?